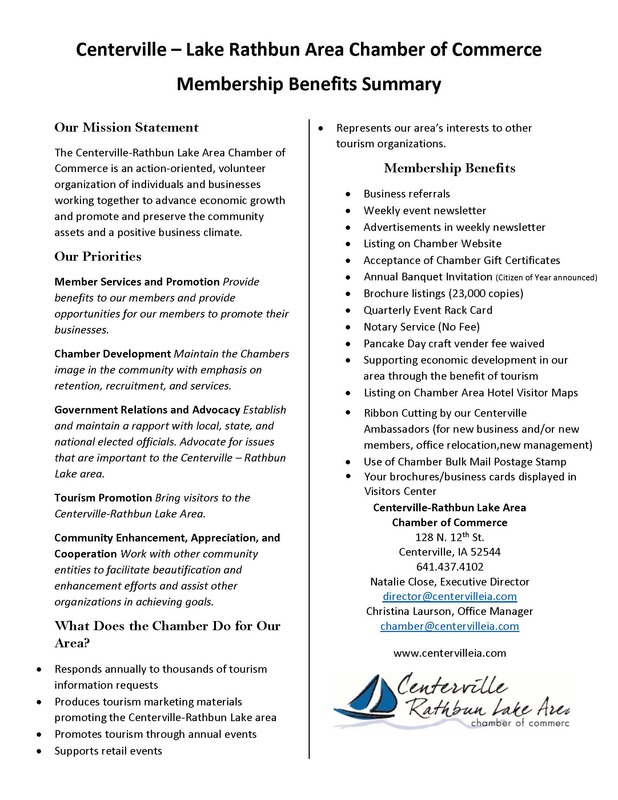 The Centerville-Rathbun Lake Area Chamber of Commerce publishes a weekly email that includes a listing of Chamber of Commerce meetings and other member events for the upcoming week. It also includes important information about future events, volunteer opportunities and information to help our members network and become more engaged in the community. To subscribe to This Week in Centerville weekly emails click here. To view past issues, click on a date below.